An engineer was incorrectly penalized by the Kansas State Board of Technical Professions when it restricted him from performing professional services that architects asserted were limited to their own profession. The Board determined that certain drawings constituted the practice of architecture and that the engineer in question was unlicensed to practice architecture. What the Board failed to consider, however, was that the engineer had been trained in civil engineering “with an architectural engineering option.” That program involved courses in architectural design, architectural development, architectural construction, and courses involving construction methods. He also took courses relating to electrical and mechanical systems. Testimony demonstrated that the engineer was trained and technically qualified to provide the services he provided. Testimony also attested to the good quality of the services performed. The Board’s adverse decision against the engineer was affirmed by the district court which held that the state statute did not authorize design or construction of buildings by an engineer. On appeal, the appellate court reversed the Board and the district court. As explained by the court, the state statute appears on the one hand to restrict a licensee to only the service to which he is licensed, but then in another section of the same regulation, permits the licensee to accept assignments to perform “those phases of the project in which the licensee is qualified.” As understood by the court, the regulations specifically provide for licensees to draft outside their specialty if qualified by education and experience, but the regulations do not require the licensee to obtain multiple specialty licenses. 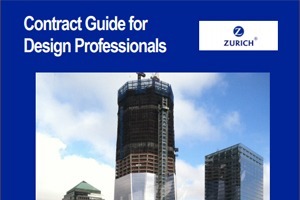 The court considered cases from other states holding a licensed professional engineer must also have an architectural license when performing services that might be legally performed by an architect, “but only when the functions he or she has performed are outside the scope of his or her engineering license.” Other jurisdictions hold that a licensed professional performing services that could properly be regarded as within both the architectural and engineering governing statutes, is considered to perform under the statute under which he or she was licensed and is not affected by the fact that the services fall incidentally within the purview of the other (architectural or engineering) licensing statute . In this case, the court held that by failing to determine whether the engineer was qualified to prepare the plans as an engineer, the Board prevented the practice of another legally recognized profession – engineering. “A licensing statute should not be applied in a manner that would prevent the practice of any other legally recognized profession,” says the court. Schmidt v. Kansas State Board of Technical Professions, 21 P.3d 542 (Kans. 2001). About the author: Article written by J. Kent Holland, Jr., a construction lawyer located in Tysons Corner, Virginia, with a national practice (formerly with Wickwire Gavin, P.C. and now with Construction Risk Counsel, PLLC) representing design professionals, contractors and project owners. He is founder and president of a consulting firm, ConstructionRisk, LLC, providing consulting services to owners, design professionals, contractors and attorneys on construction projects. He is publisher of ConstructionRisk.com Report and may be reached at Kent@ConstructionRisk.com or by calling 703-623-1932. This article is published in ConstructionRisk.com Report, Vol. 3, No. 6 (Sep 2001).